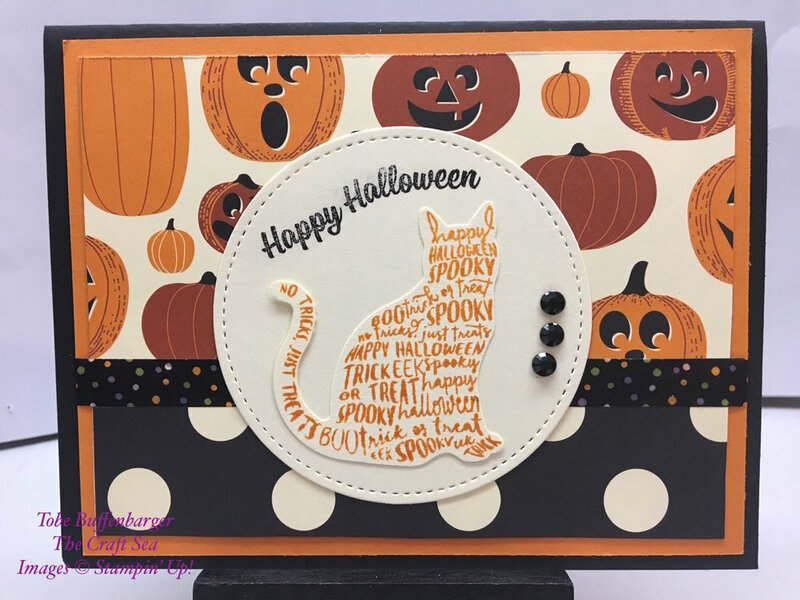 Today's post is my favorite Halloween card of the season! I love this cute text cat on a background of jack-o-lanterns. I actually think that the jack-o-lantern paper is my favorite from the pack. It's too adorable! Beyond my cat, I stated a simple greeting and cute out the circle using the Stitched Shapes Framelits. The stitching gives me the image that extra something! To finish off the card, I added some great black rhinestones and washi tape (retired from last year).